Play is an essential part of toddler education, both in school and at home. Your toddler’s daycare will keep him or her occupied with a variety of play activities that also boost learning throughout the day. For activities for toddlers that give them the same learning experiences at home, watch this video. 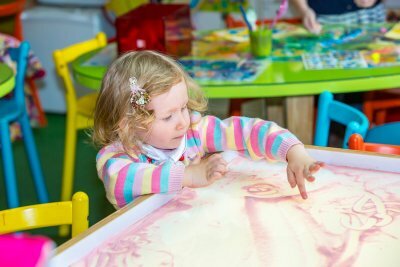 Play teaches toddlers everything from colors and shape to fine motor skills, so try a variety of activities to keep your little one entertained. Puzzles are great for child development because they help toddlers practice a number of skills. Building forts, finger painting, and playing with balls are also fun and educational ways to spend time with your toddler. Pre-kindergarten, or pre-K is an extremely valuable transition year between early education and kindergarten that helps children prepare for the demands of the kindergarten classroom. Pre-K programs are voluntary and help children develop a love of learning that can last them a lifetime. If you are thinking of enrolling your children in pre-kindergarten in Pembroke Pines , here is what you need to know about what happens in the classroom. 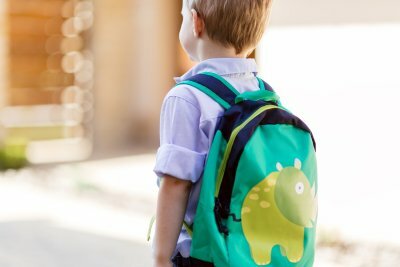 When your child transitions to the big-kid world of kindergarten, he or she will be expected to be self-sufficient in a number of different ways. Although teachers will always be available to help, kids entering kindergarten benefit from knowing how to tie their shoes, zip and unzip their coats, and open the food in their lunchboxes. They should also know how to use their scissors, uncap their clue, and hold their pencils. Learning these self-help skills also gives kids a chance to practice their fine motor skills. These are also great things for parents to practice with their pre-kindergarten aged kids at him. Letter and numbers are a big part of kindergarten and pre-k. Kids in pre-Kindergarten will get plenty of practice recognizing and writing numbers and letters, which they will continue to learn and apply in kindergarten as they learn to read. Letters and numbers will be practiced in a number of different ways, especially through play. Physical play has a long list of purposes in pre-k classroom. First, different types of physical play helps kids practice their gross and fine motor skills. Likewise, different play activities help kids learn other lessons, including counting, letters, and other pre-literacy and pre-math skills. Last but not least, physical play helps pre-k students work on their social skills. Through play, they have to learn to cooperate with classmates, respect and follow the rules, and compromise on disputes. Through play, they also get to practice winning and losing, which will help them throughout their school lives. Educators know more than ever about early childhood development and how to leverage developmental stages to build the most effective learning programs possible. Now, a preschool curriculum can be built not just around what young children need to learn but how they can learn it as quickly and effectively as possible. Your preschool child’s learning center in Pembroke Pines has structured their classrooms around these principles about young children’s learning styles. Play is one of the most important parts of learning for young children. What may seem like just a fun activity can actually be teaching your child vital math or language skills while giving him or her a chance to practice his or her motor skills. Everything from cooking to playing with blocks to singing songs gives young learners an opportunity to learn or practice new skills. Play also keeps kids moving and prevents the frustration and wandering attention that can occur for young people with sitting for extended periods of time. Young learners do best when they get to focus on one skill at a time. This means breaking down lessons into small pieces that can easily build on each other. For instance, teaching young children to sing the alphabet doesn’t mean that they know and recognize all of those letters, but learning that song simply as a song is helpful when it is time for children to start learning letters. The song will them have a new, more concrete meaning. Preschoolers in particular place the information they learn in context by forming pictures of what they are learning in their heads. For instance, if a young child learns how complete a puzzle, he or she will catalog mental images of their process that can be replayed like a movie later so that he or she can repeat the process. Young learners need these visualizations to help them retain knowledge and apply it later. When your child attends an early childhood learning center near Pembroke Pines for preschool, kindergarten, or first grade, he will develop valuable life skills and reach key child development milestones faster. Early childhood development encompasses the emotional, social, and physical development of children between the ages of 2 and 8 years old. Watch this video to learn more about the stages and importance of early child development skills. Jack P. Shonkoff, M.D., a Harvard professor, discusses the basic concepts of early child development, and the science behind it. Early childhood learning centers focus on fostering and encouraging the growth of early child development skills through the use of a comprehensive, well-rounded early childhood curriculum taught by professionals who have been trained and educated in encouraging independence, creativity, and healthy expression in children.